Earlier this month, at the annual Space Symposium, members of the US military quietly but clearly voiced their concern that war is coming to space.Could science fiction be coming true here? Soon after officials announced that the Pentagon is looking for $5.5 billion to build up its space defence systems by 2020, Air Force Secretary Deborah Lee James straight up admitted that, looking at the layout of modern space exploration, the US now believes it’s facing new and evolving threats to everything it owns above earth. This isn’t just bluster from one corner of the government. This year, Congress urged the Secretary of Defense and Director of National Intelligence to start studying offensive space weapons in addition to defensive systems. The funds allocated for these studies weren’t huge—but the very concept of openly pushing for space weaponization is an interesting developing. Ever since 1967, when the US and USSR signed the Outer Space Treaty, expressly banning the use of nuclear weapons in space and establishing a norm of restraint and pacifism to preserve the vital infrastructure of satellites, most of us have come to view space as a neutral zone. Yet as it turns out nothing in the Outer Space Treaty actually forbids the weaponization of space, meaning that so long as we don’t use nukes up there, any form of extraterrestrial brutality is on the table. Most nations have been eager to keep the option open, refusing to sign subsequent treaties with more stringent language restricting the militarization of satellites and spaceships. Recent tests of space weapons by China have brought the issue to the fore of defense and security agendas. Since 2007, China has openly tested earth-to-space anti-satellite weapons systems, successfully blowing up their own defunct crafts and threatening the orbital infrastructure on which most modern militaries rely. In turn, the US and Russia have tested a range of offensive and defensive technologies, and other nations, like India, seem eager to join the space arms race now too. Now, all of a sudden, the idea that we’ll see some form of open space warfare within our lifetimes no longer seems so far-fetched. Everyone’s been quiet on the details, but it’s easy to fill in the blanks with scenes from Star Wars. To get a more realistic sense of how the space wars will go down, I talked to Brian Weeden, a technical advisor on space issues at the Secure World Foundation, and a former US Air Force officer who specialized in intercontinental ballistic missiles and space programs. VICE: If I woke up tomorrow and saw a headline that said Space Conflict Begins! , how would you explain it? Brian Weeden: If you see that headline, it probably means the reporters are not doing their job. You’re never going to see a conflict in space [alone], just like you’re never going to see a conflict that is just in the air or just on land. What you’re going to see—likely in the near future—is that there is a space component of a conflict on earth. Just like there is an air component, a sea component, and a land component. So how would conventional earth-based conflict escalate into a space theatre? The fact that the militaries involved in a conflict on earth are using satellites and space capabilities. For example, the US military right now uses precision-guided munitions. Almost all of those are guided by GPS, which are satellites in orbit that are providing a signal that allows the munitions to know where it is and get to where it needs to be. Almost all militaries right now are using satellite communications. An increasing number of militaries are using satellites for intelligence. But there’ve been a lot of plans in the past to attack the earth from space. Could we not see anything like that? Probably not. 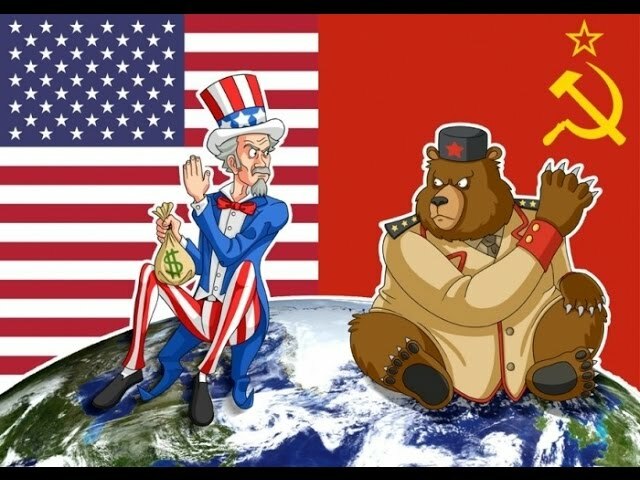 The US and Soviets pushed by [the Outer Space Treaty] because both of them saw that putting a nuclear weapon in orbit would be hugely destabilizing. There was a nuclear test called Starfish Prime [in 1962] that set off a 1.2 megaton nuclear warhead in low-earth orbit and it killed like a third of the satellites in orbit at the time, including a couple of American satellites. So everyone quickly realized that setting off nuclear detonations in orbit was not going to be a good idea. It doesn’t have to be nukes though—there was that plan, “Rods from God,” to basically just chuck big pieces of metal from space to blast things on earth to pieces. When the militaries first started thinking about space in the 50s and 60s, they came up with a lot of really crazy stuff, much of which they quickly realized wouldn’t work or was not as militarily practical as everybody thought it would be. Because the physics about how things move in space put certain boundaries on what is possible, what is not possible, and even if it is possible, it’s probably a really, really difficult engineering solution. Would Space War be entirely earth-to-satellite then? Or could there be Space-to-Space War? [Such a conflict] would probably be a combination of earth-to-space and space-to-space. In the last decade-and-a-half, there’ve been a lot of demonstrations of rendezvous-and-proximity operations (RPO), where you take an object into space, change its orbit so it gets up close to another object in orbit. It’s the same thing we do with the International Space Station every time we send food up to it, just robotically. [It can be used for] refueling of satellites, maintenance of parts. But it also [means] you can go snip something off, go poke something, go break something, do lots of bad stuff. So we attack satellites. How much damage does it do in space and to the nations involved? It totally depends. Most likely it’s going to involve non-kinetic methods to start with—jamming, hacking, spoofing. It’s far easier to do. You’ve got a communications satellite, you can jam its communications much more easily than you can send something to go kill it. And if you’ve got an optical satellite taking imagery, dazzle it with a laser, take out the optics. As long as it can’t see your troops, then you probably have solved your military objective. I am fairly certain, although there’s no evidence to prove it yet, that every conflict in the past ten years probably had a space component that involved jamming, hacking, spoofing, dazzling. That’s generally not going to have any waterfall effects. The satellite’s function is normal. You’re not damaging it. You’re just messing with its military function. The next level up would be the kinetic attacks, where you’re trying to destroy or damage the object. Some of those might not have a big effect. If you had a laser that was powerful enough to burn a hole through a critical part of a satellite to render it inoperable, the satellite itself wouldn’t be useful, but it wouldn’t explode into a whole bunch of debris. The most worrisome kind of attack is a hyper-kinetic kill, where you’re colliding with it at very high speed and the satellite is getting obliterated into thousands of small pieces. Depending upon what orbit that satellite is in, all of those pieces could be up there for a very long time and thus pose a collision risk to everything else in that region. Is that mutually assured destruction? Not necessarily, because not every country is as reliant on satellites. And that’s why you’ve heard the US become much more concerned in the last few years about China’s anti-satellite capabilities. While China does have a lot of satellites, and they’re building a lot of satellites, and they’re starting their own militarization of space, the US is by far more reliant on space for its military national security than China is for its. Why would we escalate from non-kinetic to kinetic attacks? Let me give you a scenario: Taiwan Straits, really heightened tensions, everything’s going to result in conflict. Let’s say there’s a US carrier group in the area, and the US gets some kind of intelligence that China is getting ready to launch an anti-ship ballistic missile to take out that carrier. A key part of targeting that missile is going to be a satellite. So in that case, the American military commander may decide that taking out one or more of those satellites required to target the missile is [worth it]. And for the massive kinetic attacks? I honestly can’t think of [a reason]. If there’s a satellite explosion in the geostationary belt, [the highest orbital level, its debris] are going to be up there, for all intents and purposes, forever. And it’s going to be bad. The only thing I can think of is lasers. People have been talking about laser weapons for a long time. The biggest problem is generating power. That might be changing because solar panels are getting much more efficient and powerful. Laser technology and the electronics are getting much better. That could be a game changer. How likely is it that, beyond just spoofing satellites, I’m going to see some really disruptive space conflict in my lifetime? How nervous should I be? I still think that you’re more likely to see a non-warfare incident than a warfare incident causing problems—natural events like a solar weather storm or a satellite getting hit by a piece of debris or even a mistake or an accident—than any intentional kinetic event. The one caveat to my pessimism on the likelihood of a kinetic attack: if there is a big conventional fight—we’re talking an existential struggle for survival—then all bets are off.